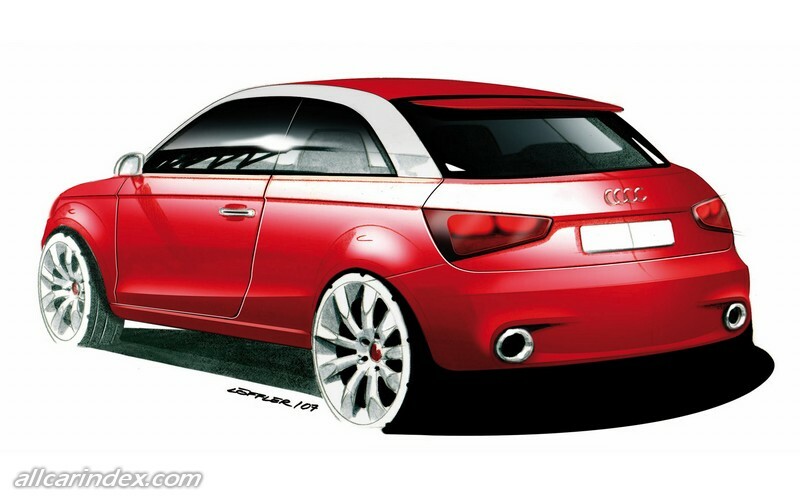 Audi first unveiled its Audi A1 project quattro at the 2007 Tokyo Motor Show: a distinctive design study bringing typical Audi character to the subcompact segment. In typical Audi fashion, the three-door four-seater car showcases new ways of heightening efficiency, dynamism and motoring pleasure with a series of visionary technical solutions. 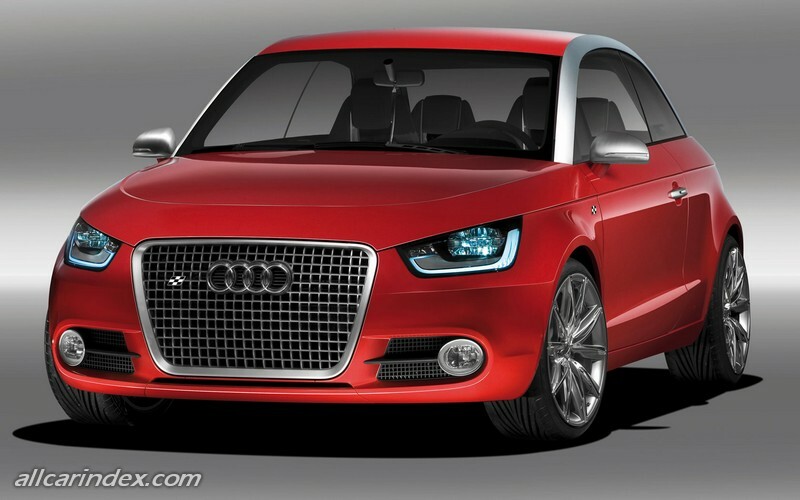 The drive unit for the Audi A1 project quattro showcases a fully independent and innovative hybrid technology. At work under the bonnet is a 1.4.litre TFSI engine developing 110 kW (150 bhp), whose power is directed to the front wheels by means of the S-tronic Direct Shift Gearbox. A 30 kW (41 bhp) electric motor positioned on the rear axle is able to deliver up to an additional 200 Nm of torque when the vehicle is accelerating. In boost mode, in other words when the vehicle is being powered simultaneously by the TFSI unit and electric motor for dynamic performance, the study is transformed from a front-wheel-drive car to a quattro, and power is transferred to the road in the most effective way possible. The Audi engineers have long since proven the performance potential of turbocharged FSI technology, both on race tracks around the world and out on the road. The new 1.4 TFSI builds on this very same concept in order to maximise efficiency on the one hand and performance on the other. Multi-hole injectors result in very homogeneous mixture formation and extremely efficient combustion. This is also an effective means of helping to cut pollutant emissions. At the Tokyo Motor Show (24.10. 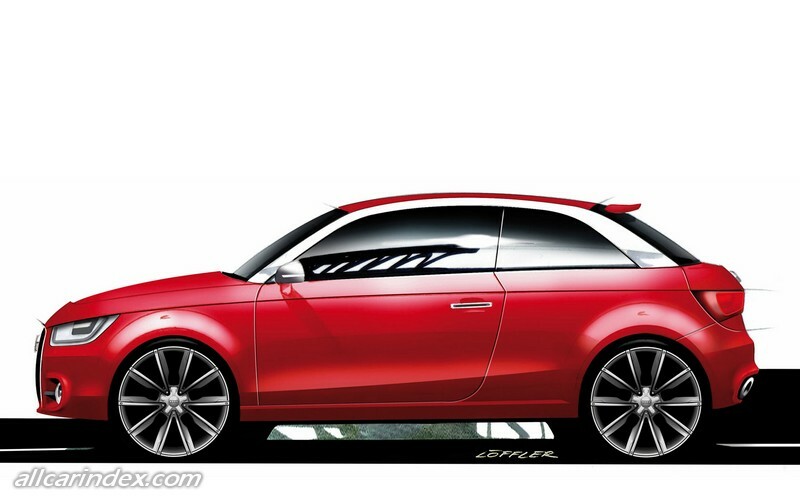 - 11.11.2007) Audi is unveiling the metroproject quattro, an original, characteristically Audi design study for the sub-compact segment. The three-door four-seater car blends dynamic styling with exemplary economy of space and supreme quality in trailblazing fashion. At the same time, a series of visionary technical solutions take efficiency, dynamism and motoring pleasure into new territory as only Audi knows how. The drive unit for the metroproject quattro showcases a fully independent, innovative hybrid technology. At work under the bonnet is a 1.4.litre TFSI engine developing 110 kW (150 bhp), whose power is directed to the front wheels by means of the S-tronic Direct Shift Gearbox. A 30 kW (41 bhp) electric motor positioned on the rear axle is able to deliver up to an additional 200 Nm of torque when the vehicle is accelerating. When boosting, in other words driving the vehicle simultaneously by TFSI and electric motor to achieve a dynamic driving style, the study is transformed from a front-wheel-drive car to a quattro, and power is transferred to the road in the most effective way possible. The electric motor is furthermore capable of powering the vehicle alone for zero-emission driving in residential areas, for instance. The capacity of the lithium-ion batteries gives the vehicle a range of up to 100 km in pure electric mode; the motor can be recharged from any power socket. The automatic start/stop facility, energy regeneration and phases of purely electrical operation reduce the fuel consumption and emissions of the Audi metroproject quattro by around 15 percent compared to when it is running exclusively on the combustion engine. Despite its sporty performance (0-100 km/h in 7.8 seconds, top speed of 201 km/h), the study uses just 4.9 litres of premium fuel for every 100 km, while CO2 emissions average a mere 112 g/km. The concept car's styling is simple and coherent, making it look as if it has been cast from a single mould. The basic proportions, with a high vehicle body and a flat window area bordered by a coupé-like roof line, produce a virtually classic look for a vehicle bearing the four rings. Tracing the roof's silhouette are two striking, sturdy aluminium arches which run along the top edge of the windows to connect the A and C-posts, further emphasising the dynamic appeal of the powerfully built, compact vehicle body. The tail is rounded off by a spoiler integrated into the rear window. The side-on view presents another typical coupé attribute in the form of doors with frameless windows and no visible B-pillar. The bold segmentation of the study's side panelling with its gently rising shoulder line accentuates the styling. 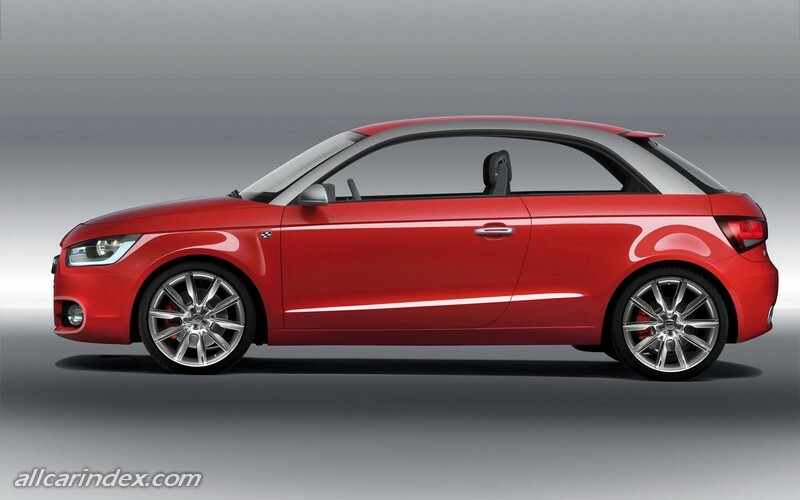 The shoulder line of the Audi metroproject quattro with its Racing Red paint finish is a new interpretation of yet another trademark feature of the current Audi design. Here, the prominent double lines continue around the entire vehicle as a curvaceous band that links the front end – from which it seems to emerge – with the vehicle's tail, that rises to create a slightly wedge-shaped effect. At the front, the metroproject quattro's lowered bonnet that is virtually embedded into the shoulder line forms a novel styling element. The single-frame grille with its chequered-flag look and four interlinking rings leaves no doubt as to the study's sporty temperament, an impression that is further underlined by the aluminium finish on elements such as the grille, mirror housings, door handles, fuel filler cap and tailpipes. 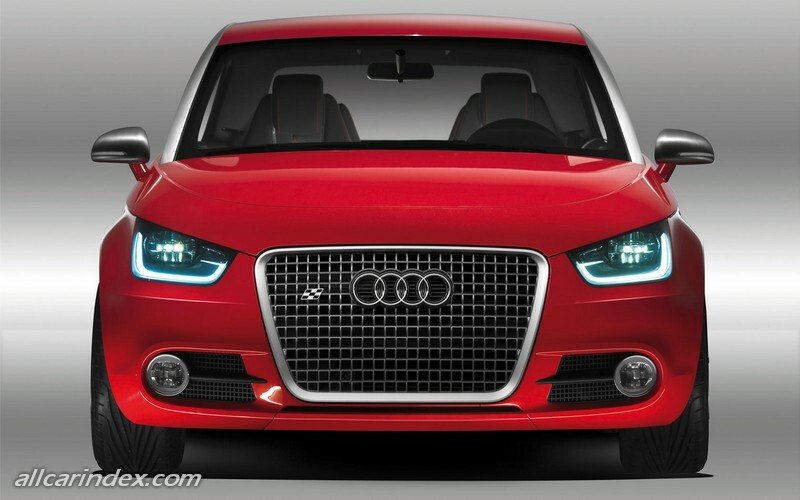 The design of the three-dimensional main headlights in innovative LED technology is especially eye-catching. The reflectors focus the light emitted by each diode to create a powerful, uniform beam whose white light colour barely places any strain on the driver's eyes, even when driving for long distances at night. The daytime running lights are also based on LED technology, which promises extra-low energy consumption in addition to its design benefits. V-shaped polished aluminium elements lend further emphasis to the vehicle's sportiness and exclusiveness. The wraparound tailgate joins the sides with the tail. 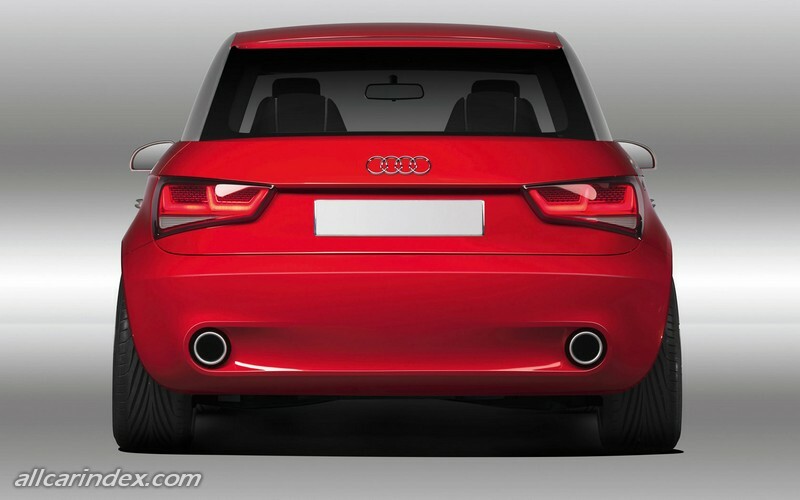 The sculpture-like tail lights with their three-dimensional glass lens design extend far into the vehicle's flanks. When the tailgate is opened, the discreetly illuminated electric motor can be viewed through a glass panel, in similar fashion to the R8's engine. The luggage compartment itself holds a respectable 240 litres. 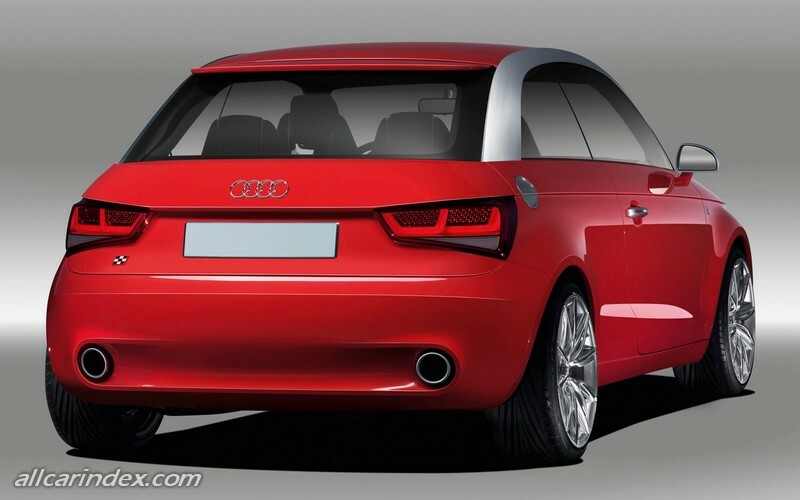 The body of the Audi metroproject quattro makes optimum use of the modest-sized footprint of a premium compact-class car. Measuring 3.91 m long and 1.75 m wide with a wheelbase of 2.46 m, it succeeds in combining sporty looks with impressive economy of space thanks to its short overhangs. The transverse installation of the engine also has a significant role to play in this respect. Meanwhile, the vehicle's height of 1.40 m means there is plenty of headroom in the rear too. The interior, with its four individual seats and a surprisingly generous amount of spaciousness for this class, has a tidy, no-frills appearance. The curving wrap-around element merges the doors and the sporty cockpit into a single whole. The dashboard and centre console are designed entirely around the driver. Ergonomics and aesthetics unite to create an ambience of clear-cut architecture and high-class appeal. This impression is further enhanced by the two-tone colour concept. 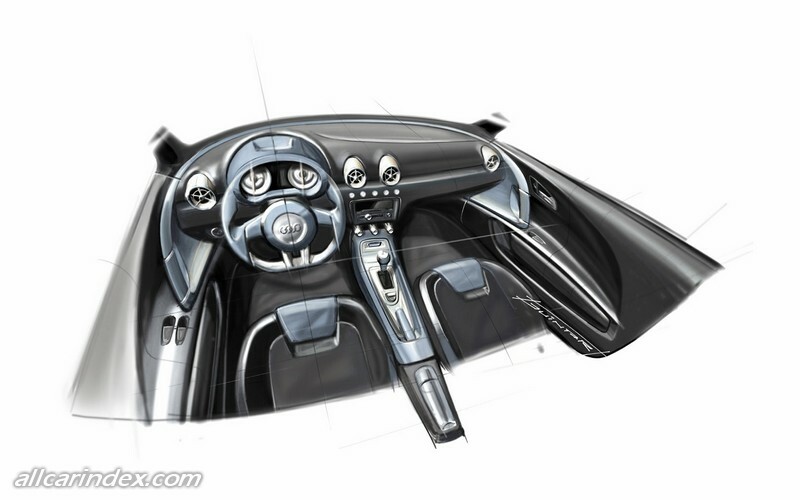 The instrument cluster shroud, the wraparound and the centre console are trimmed in a contrasting colour to inject the interior with added dynamism. Details such as the air vents and air conditioning controls seem to be straight out of a jet plane. This same thinking was behind the soft finish of the interior's surfaces. The round dials and the air vents, which are also circular, are reminiscent of a classic sports car cockpit à la Audi TT. The aluminium insert in the centre console comprises the Audi mobile device as well as the start/stop button behind the gear lever. In the rear portion of the centre console can be found a thermos flask featuring an innovative cooling and heating system. The sporty seats with integrated head restraints offer levels of comfort and ergonomics that far exceed the customary standards in the sub-compact class and live up to the expectations of a typical Audi. 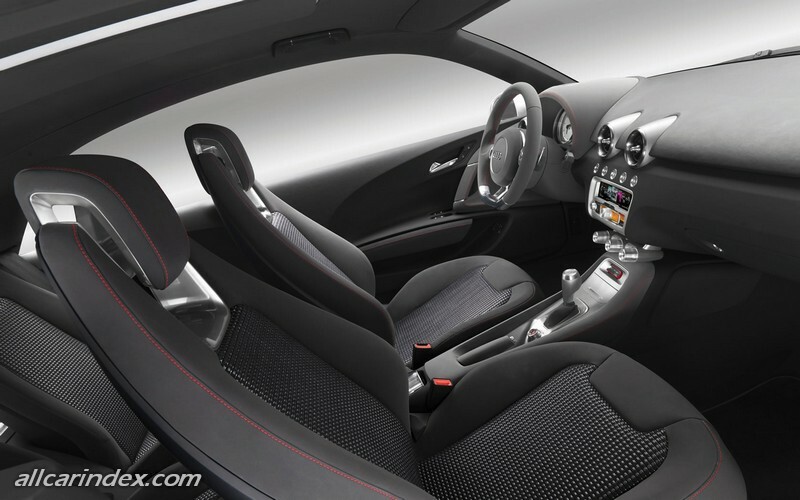 The materials used for both the seat upholstery and the interior trim appeal with their high-class looks and feel. The contrasting colour scheme featuring dark panels and red stitching adds substance to the car’s overall sporty character. The centre console houses a new, innovative technology: the removable Audi mobile device. This portable unit functions as an access authorisation system for the vehicle, mobile phone, navigation unit and audio and video player all in one. Plus, it serves as the control unit for numerous vehicle systems which can also be set from outside the Audi metroproject quattro. The mobile device offers the entire range of functions and exact same menu navigation as the MMI system and integrates a host of communications devices that were previously only available separately into a single, extremely space-efficient unit. This allows the driver to use the compact device as an MP3 player, for example, or as an address database and input tool for the navigation system. What's more, he can switch on the vehicle's heating if required and program the sound system to suit his personal preferences, all from the comfort of his own home. Access and start authorisation for the Audi metroproject quattro is also provided by the Audi mobile device, dispensing with the need for a key. The unit is operated using a touchscreen, whose architecture replicates the MMI standard. The touch-sensitive screen is capable of recognising both Latin and Japanese characters, and is even able to decipher handwriting. The Audi mobile device and vehicle communicate via a WLAN connection. The Audi mobile device also offers the vehicle owner an extra security function: images from a camera in the vehicle interior can be received on the device's display in real time. If the vehicle alarm is triggered, the system activates itself and warns the owner. Should the vehicle be stolen and move out of the WLAN connection's range, the electronics automatically switch to the car phone's UMTS transmitter to keep the owner informed of the vehicle's current location. The MMI control unit is an advanced version of the tried-and-trusted MMI design whose haptics make it easier to operate whilst on the move. Grouped around the central control button are four fixed-function hardkeys for the Navigation, Telephone, Car and Media basic menus. Four additional, backlit softkeys have variable functions which change within the individual menus. The projected softkey labels combine with the bold softkey colours that identify the corresponding menus to ensure swift, intuitive user orientation. Compared to the series-production variants, the system's display seems relatively small at just 1.5 inches high. This is because all system information additionally appears in the central display in the instrument cluster. The instrument cluster has a hybrid design, featuring both TFT modules as well as analogue gauges for the large speedometer and rev counter dials. Superimposed glass elements make the graphics stand out with a three-dimensional look, producing a level of depth which could never be attained using a standard display. The layout of the MMI display likewise features a new element. The selectable functions are arranged in a semicircle as icons. As the driver turns the central MMI control button, the icons mimic the movement until the desired function is selected by pushing the button. Content can therefore be communicated by means of a distinctive visual language, allowing it to be grasped faster and more intuitively than with pure text. The Audi metroproject quattro is equipped with the same Audi drive select system that can be ordered as an option for the current generation of the bestselling Audi A4. This enables the driver to pre-select one of two specially adapted configurations for the drivetrain, shift characteristics and magnetic ride shock absorbers. The default setting is the "efficiency" mode, which is automatically activated every time the engine is started. In this mode, the engine and transmission respond gently to use of the accelerator and shift paddles. This setting is ideal for a relaxed driving style, as well as offering tremendous potential for effectively lowering fuel consumption, and therefore emissions too. In the "efficiency" mode, the electric motor is not deployed as a source of additional torque; instead it is run selectively as the sole power source to bring about a tangible reduction in consumption. For this purpose, the system makes use of a host of parameters which can be fed to it via the navigation system. Thanks to the navigation system's ability to detect differences in altitude along the route, regeneration phases as well as the increase in energy requirements on inclines can be computed before the journey has even started. This also makes for particularly efficient vehicle operation by harnessing the electric motor to optimum effect. On predefined routes with access to a mains power socket at the destination, the Audi metroproject quattro can cover distances of up to 100 kilometres running purely on electrical power – and swiftly too: it is capable of reaching a speed of considerably more than 100 km/h. The combustion engine only cuts in again once battery capacity has dropped to below 20 percent of maximum. The "efficiency" mode also flashes up messages in the central display advising the driver to deactivate energy-intensive systems, such as the automatic air conditioning's compressor, or close any open windows. The dynamic mode is designed to produce the dynamic yet comfortable driving sensation that is so typical of the brand and that Audi drivers have come to expect of their car. In this mode, the vehicle's electronics also harness the torque available from the electric motor to achieve extra-sporty acceleration along with excellent lateral dynamics. Under the bonnet of the Audi metroproject quattro sits a four-cylinder TFSI with a capacity of 1.4 litres and a turbocharger. This engine is an advanced version of the unit that made its series production debut in the Audi A3 only a few months ago. 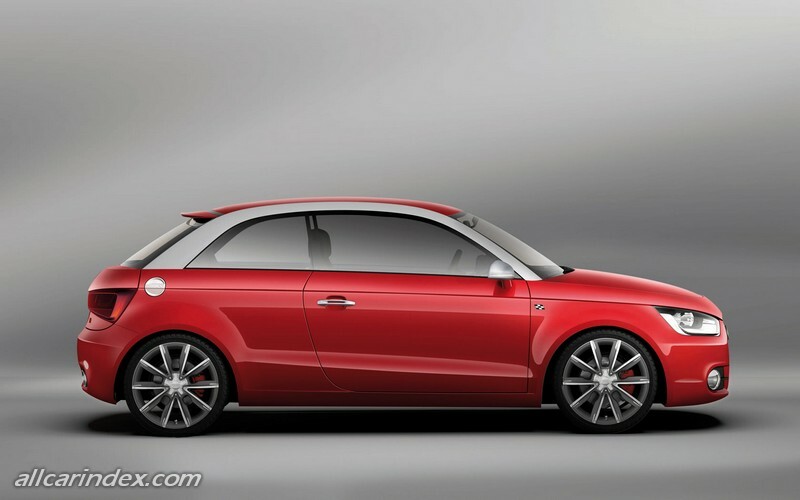 Whereas the 1.4 TFSI musters 92 kW (125 bhp) in the A3, it delivers 110 kW (150 bhp) at 5,500 rpm in the study. Its peak torque of 240 Nm is on tap over a broad rev band from 1,600 – 4,000 rpm. When the two drive units are working in unison, however, the Audi metroproject is transformed into a genuine quattro and can count on all the benefits of four-wheel-drive system. This ensures that the high torque of 440 Newton metres in total – 240 Nm from the 1.4 TFSI plus an extra 200 Nm from the electric motor – is transformed into the required level of tractive power when accelerating. The Audi metroproject quattro can in principle run self-sufficiently, using mixed operation of the combustion engine and electric motor. Thanks to intelligent control of the two drive units, energy regeneration as well as the automatic start/stop facility, fuel consumption drops by around 16 percent compared to a vehicle running on the petrol engine alone. Although the components of the electric motor add around 70 kilograms to the overall weight, the study still only burns 4.9 litres of premium fuel per 100 km in mixed mode, while CO2 emissions average just 112 g/km. Pure electrical operation over shorter distances, however, is a particularly attractive alternative offered by this vehicle that benefits the environment and the owner's wallet alike – all the more so considering that the performance achieved in this mode and the range of over 100 kilometres are perfectly satisfactory. "Refuelling" the Audi metroproject quattro from power sockets alone, therefore, produces an unequivocal result: even allowing for the relatively high domestic electricity costs in Germany, it is still possible to achieve a saving of around €6.50 for every 100 km – or 70 percent – compared to the price of premium fuel. The second fundamental ingredient for outstanding handling dynamics is supplied by the sophisticated chassis design, comprising McPherson front suspension and four-link independent rear suspension. Large 18-inch wheels with size 225/35 R18 tyres boost both driving pleasure and safety. The braking system with its large-diameter discs (measuring 312 mm across at the front wheels) is more than a match for the drive power. Bred on the racetrack, the system promises outstanding, fade-free stopping power. The shock absorbers deploy a highly innovative technology in the form of Audi magnetic ride, which has already made its mark in the Audi R8 high-performance sports car and in the TT. Here, the conventional shock absorber fluid is replaced by a magneto-rheological fluid whose viscosity can be controlled by means of an electromagnetic field. This effect allows the damping characteristics to be adapted electronically at any time by energising the electromagnets. Audi magnetic ride capitalises on this quality to make the appropriate damping forces available in any driving situation, thereby optimising both ride comfort and performance dynamics. A computer linked up to a system of sensors interprets the current driving situation with split-second speed. At the same time, drivers are able to choose between two different drive modes, depending on whether they wish to have a distinctly sporty drive – with the magneto-rheological fluid at a low viscosity – or a more comfort-oriented ride. The 1.4 TFSI delivers 110 kW (150 bhp) at 5,500 rpm in the study, with the integrated turbocharger ensuring optimised responsiveness and even more harmonious torque build-up. 80 percent of peak torque can be summoned up from as low down as 1,250 rpm, in other words barely above idling speed. Its peak torque of 240 Nm, meanwhile, is on tap over a broad rev band from 1,600 to 4,000 rpm. And despite its power, the 1.4 TFSI sets new benchmark standards in its class for its acoustic output too. Pure electrical operation over shorter distances, however, is a particularly attractive alternative offered by this vehicle that benefits the environment and the owner’s wallet alike – all the more so considering that the performance achieved in this mode and even the range of over 100 kilometres are perfectly satisfactory. 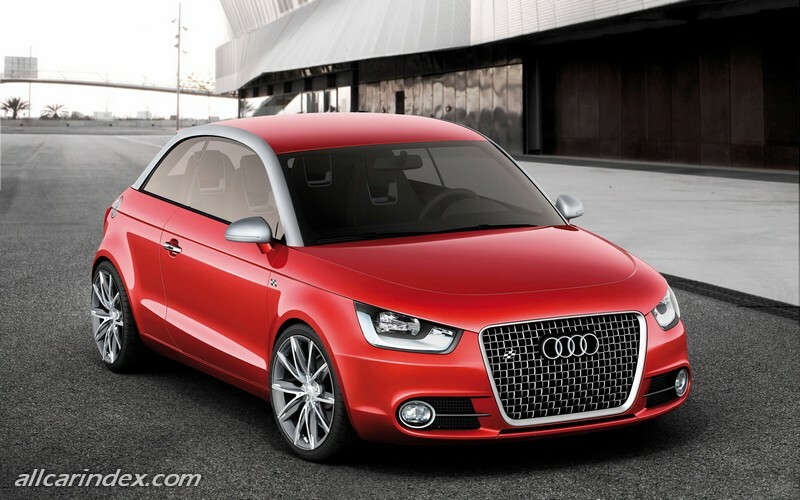 As a result, “refuelling” the Audi A1 project quattro from the mains alone produces an unequivocal result: even making allowance for the relatively high domestic electricity costs in Germany, it is still possible to achieve a saving of around € 6.50 for every 100 km – or 70 percent – compared to the price of premium fuel. The dynamic chassis is tuned for sporty, agile handling combined with excellent stability, and makes cornering a particular delight. What’s more, the chassis excels with a level of ride comfort befitting of higher vehicle classes. Large 18-inch wheels with size 225/35 R18 tyres boost both driving pleasure and safety. The braking system with its large-diameter discs (measuring 312 mm across at the front wheels) is more than a match for the drive power. Bred on the racetrack, the system promises outstanding, fade-free stopping power. 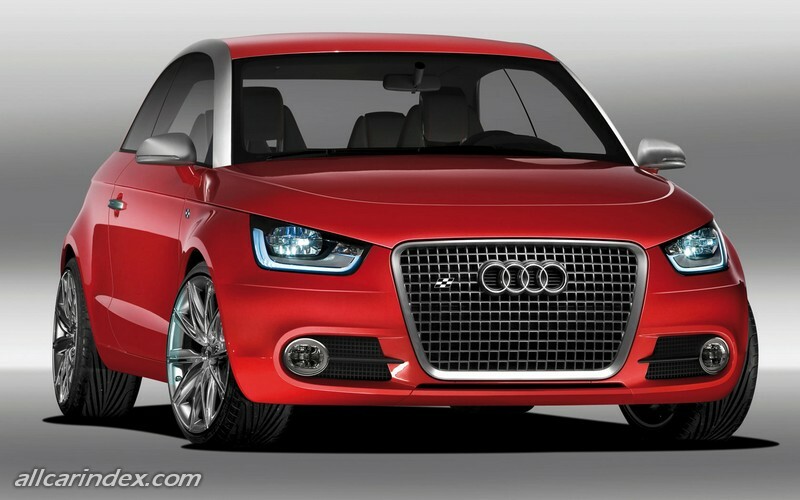 The Audi A1 project quattro is equipped with the Audi drive select system. This enables the driver to pre-select one of two specially adapted configurations for the drivetrain, shift characteristics and magnetic ride shock absorbers. Efficiency mode: The default setting is the “efficiency” mode, which is automatically activated every time the engine is started. In this mode, the engine and transmission respond gently to use of the accelerator and shift paddles. This setting is ideal for a relaxed driving style, as well as offering tremendous potential for effectively lowering fuel consumption, and therefore emissions too. In the “efficiency” mode, the electric motor is not deployed as a source of additional torque; instead it is run selectively as the sole power source to bring about a tangible reduction in consumption. For this purpose, the system makes use of a host of parameters which can be fed to it via the navigation system. Thanks to the navigation system’s ability to detect differences in altitude along the route, regeneration phases as well as the increase in energy requirements on inclines can be computed before the journey has even started. This also makes for particularly efficient vehicle operation by deploying the electric motor to optimum effect. Dynamic mode: The dynamic mode is designed to produce the dynamic yet comfortable driving sensation that is so typical of the brand and that Audi drivers have come to expect of their car. In this mode, the vehicle’s electronics also harness the torque available from the electric motor to achieve extra-sporty acceleration and excellent lateral dynamics. The shock absorbers feature a highly innovative technology in the form of Audi magnetic ride, which has already made its mark in the Audi R8 high-performance sports car and in the TT. Instead of conventional damper oil, the system uses a magneto-rheological fluid, the viscosity of which can be altered by an electromagnetic field. This effect allows the damping characteristics to be adapted electronically at any time by energising the electromagnets. Audi magnetic ride capitalises on this quality to make the appropriate damping forces available in any driving situation, thereby optimising both ride comfort and performance dynamics. A computer linked up to a system of sensors interprets the current driving situation with split-second speed. At the same time, drivers are able to choose between two different drive modes, depending on whether they wish to have a distinctly sporty drive – with the magneto-rheological fluid at a low viscosity – or a more comfort-orientated ride. The concept car’s styling makes it look as if it has been cast from a single mould. The basic proportions, with a high vehicle body and a flat window area bordered by a coupé-like roof line, produce a virtually classic look for a vehicle bearing the four rings. The silhouette of the roof section is traced by two striking, sturdy aluminium arches which run along the top edge of the windows to connect the A and C-posts, further emphasising the dynamic appeal of the powerfully built, compact vehicle body. 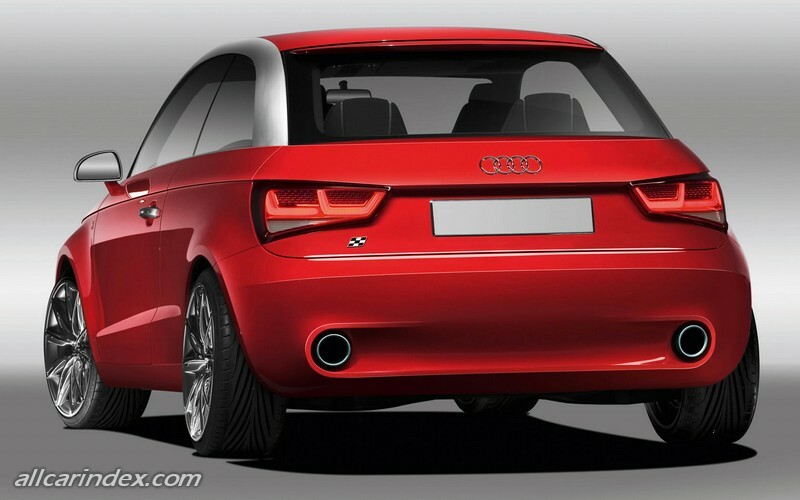 The shoulder line of the Audi A1 project quattro with its Racing Red paint finish is a new interpretation of yet another trademark feature of the current Audi design. Here, the prominent double lines continue around the entire vehicle as a curvaceous band that links the front end – from which it seems to emerge – with the vehicle’s tail, that rises to create a slightly wedge-shaped effect. 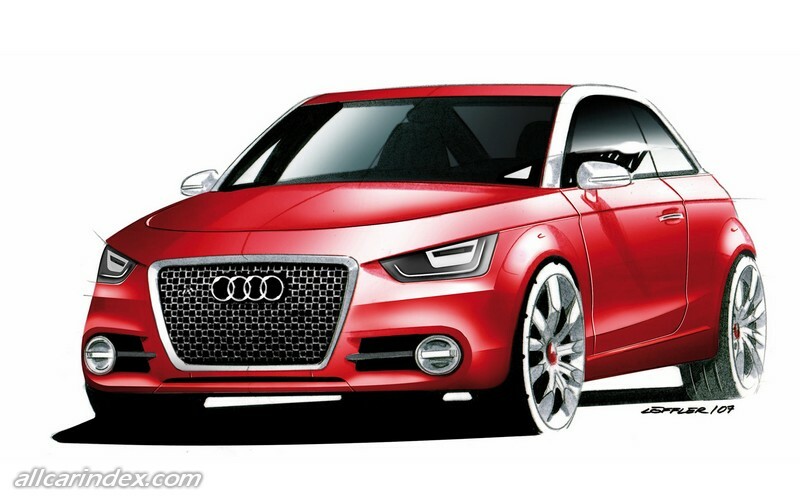 At the front, the Audi A1 project quattro’s lowered bonnet that is virtually embedded into the shoulder line forms a novel styling element. The tail is rounded off by a spoiler integrated into the rear window. The single-frame grille with its chequered-flag look and four interlinking rings leaves no doubt as to the study’s sporty temperament, an impression that is further underlined by the aluminium finish on elements such as the grille, mirror housings, door handles, fuel filler cap and tailpipes. The two-tone multipiece wheels that have been embellished by the addition of V-shaped polished aluminium elements lend further emphasis to the vehicle’s sportiness and exclusiveness. The design of the three-dimensional main headlights in innovative LED technology is especially eye-catching. The reflectors focus the light emitted by each diode to create a powerful, uniform beam whose white light colour barely places any strain on the driver’s eyes, even when driving for long distances at night. The daytime running lights are also based on LED technology, which promises extra-low energy consumption in addition to its design benefits. The interior, with its four individual seats and a surprisingly generous amount of spaciousness for this class, has a tidy, no-frills appearance. The curving wrap-around element merges the doors and the sporty cockpit into a single whole. The dashboard and centre console are designed entirely around the driver. Details such as the air vents and air conditioning controls seem to be straight out of a jet plane. This same thinking was behind the soft finish of the interior’s surfaces. The round dials and the air vents, which are also circular, are reminiscent of a classic sports car cockpit à la Audi TT. The sporty seats with integrated head restraints offer levels of comfort and ergonomics that far exceed the customary standards in the subcompact segment and live up to the expectations of a typical Audi. Ergonomics and aesthetics unite to create an ambience of clear-cut architecture and high-class appeal. This impression is further enhanced by the two-tone colour concept. The materials used for both the seat upholstery and the interior trim appeal with their high-class looks and feel. The contrasting colour scheme featuring dark panels and red stitching adds substance to the car’s overall sporty character. The aluminium insert in the centre console comprises the mobile device as well as the start/stop button behind the gear lever. A thermos flask featuring an innovative cooling and heating system can be found in the rear portion of the centre console. The Audi mobile device is a portable unit that functions as an access authorisation system for the vehicle, mobile phone, navigation system and audio and video player all in one. Plus, it serves as the control unit for numerous vehicle systems which can also be programmed from outside the Audi A1 project quattro. The Audi mobile device housed in the centre console offers the entire range of functions and exact same menu navigation as the MMI system. It integrates a host of communications devices that were previously only available separately into a single, extremely space-efficient unit. This allows the driver to use the Audi mobile device as an MP3 player, for example, or as an address database and input tool for the navigation system. What’s more, he can switch on the vehicle’s heating if required and program the sound system to suit his personal preferences, all from the comfort of his own home. 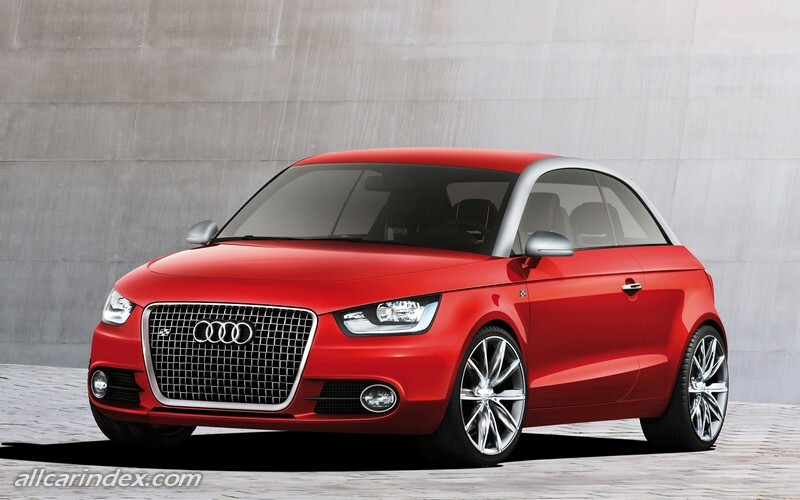 Access and start authorisation for the Audi A1 project quattro is also provided by the mobile device, dispensing with the need for a key. The Audi mobile device also offers the vehicle owner an extra security function: images from a camera in the vehicle interior can be received on the device’s display in real time. If the vehicle alarm is triggered, the system activates itself and warns the owner. Should the vehicle be stolen and move out of the WLAN connection’s range, the electronics automatically switch to the car phone’s UMTS transmitter to keep the owner informed of the vehicle’s current location.